While Detroit’s systemic problems often seem too large to tackle -- like an ongoing foreclosure crisis and a broken transportation system -- others have simpler solutions. One such solution has made a huge difference for the city’s children, who now have a couple hundred more safe neighborhood parks than they did a year ago. It's thanks in part to church leaders who, along with other local groups, agreed to take responsibility for over 70 public parks and urged Duggan to make them a priority. Duggan's administration also allocated funds so the formerly bankrupt city could reopen over 200 parks last year, a spokesman said. 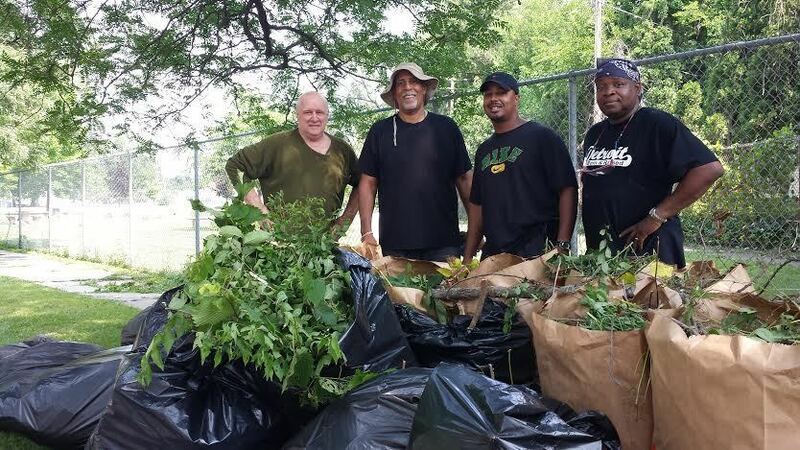 Duggan revamped the Adopt-A-Park program last year, and church congregations, block clubs, community organizations, companies and individuals signed up to help. Groups that adopted parks pledged to do three things during spring, summer and fall: cut the grass every two weeks or less, trim weeds, and remove trash. While the park adoption program existed under Duggan’s predecessor, it didn't appear to be an administration priority and lacked strong oversight. Now, each adopted park is surveyed by the city biweekly and given scores that are made public on each of the three responsibilities. Adopters were also honored at a celebration in the fall. 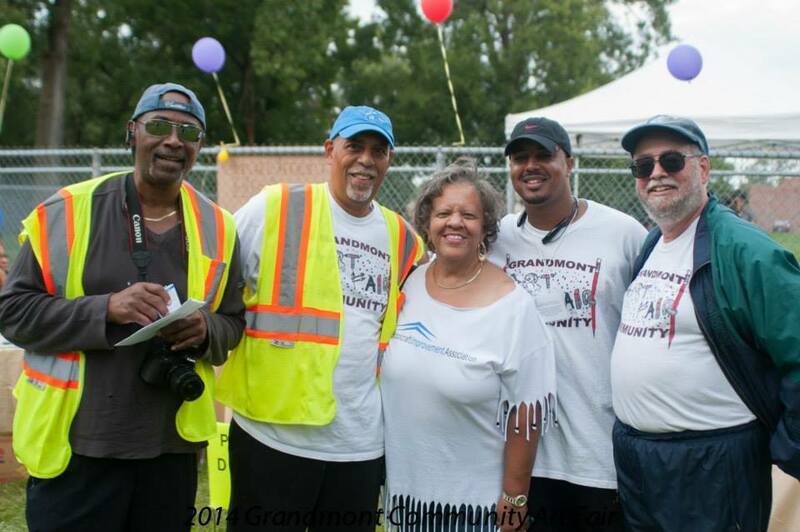 Community leaders Mushin Muhammad, Lorenzo Blount, Jomo King and Richard Berlin. Courtesy Grandmont Community Association. Duggan’s program is new, but many parks have been informally maintained by community groups for years. In Grandmont, residents have long taken care of Ramsay Park; one man who lives by the park has been nicknamed “Mr. Ramsay” because of how much he looks after it. The Grandmont Community Association actually formally adopted Ramsay from the city several years ago, but Jomo King, who serves on the GCA board of directors, thinks the new program is a vast improvement. Spring cleanup at Ramsay Park. Courtesy Grandmont Community Association. Apart from regular maintenance, the group hosts a large spring cleanup and does additional work when events are held at the park. On a summer day at Ramsay, King said, you might see people walking dogs, kids frolicking on the playscape or playing a Little League baseball game. You might see King and his 12-year-old daughter practicing her overhand volleyball serve or riding together on the bike trail. Those typical outdoor activities might not sound remarkable, but they’re only possible because of people invested in keeping their neighborhood safe and vibrant. With the assistance of a municipal program, their passion and volunteer work has led to the significant improvement of an essential city amenity. “If we want people to choose Detroit to live in with their families, [our] neighborhoods need to be family friendly,” Duggan spokesman John Roach said in an email to HuffPost. 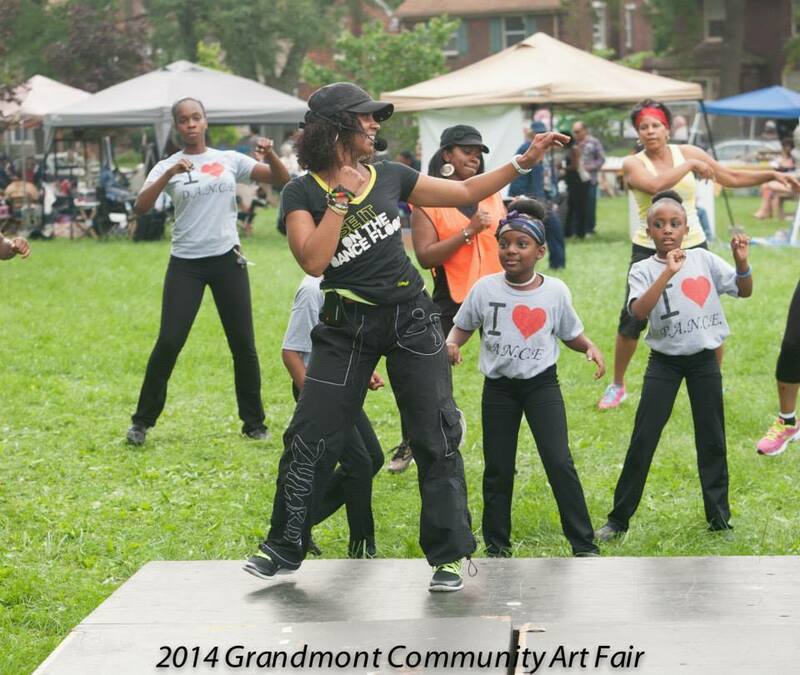 Dancing at the Grandmont Community Arts & Crafts Fair. Courtesy Grandmont Community Association. The city shuttered more and more of its 300-plus city parks and cut other services leading up to Detroit's bankruptcy, which was formally initiated in 2013. Concerns have since been raised about the extent of the city's reliance on foundation and corporate support and the privatization of civic functions, but involving the people who care most about the quality of neighborhood parks has so far been an overall win for the city and residents. It's also aligned with other Duggan initiatives that support the efforts of people already working to improve their communities, like a program that makes it easy for residents to buy vacant lots next to their homes for cheap. 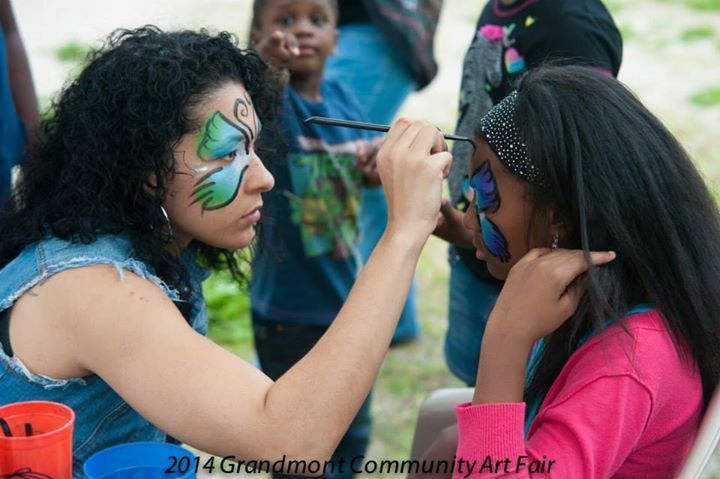 Face painting at the Grandmont Community Arts & Crafts Fair. Courtesy Grandmont Community Association.